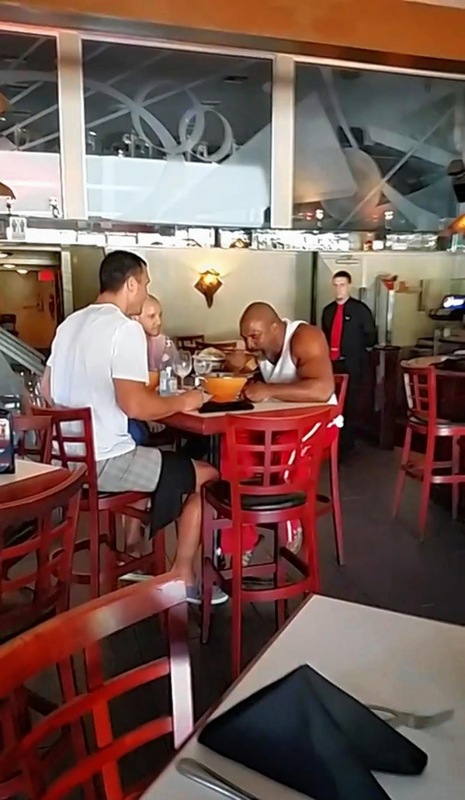 Wladimir Klitschko was eating a bowl of pasta when Shannon Briggs started yelling at him and eating his food, a video shows. When the Ukrainian boxer dumped a glass of water on his unexpected dinner guest's head, Briggs flipped a table and cut his own foot on shattered glass. Talk about a food fight. The whole scene is awesome and bizarre but kinda stinks of Clubber Lang-Rocky Balboa. Especially since this scuffle went down just days after Briggs similarly interrupted a Klitschko training session. 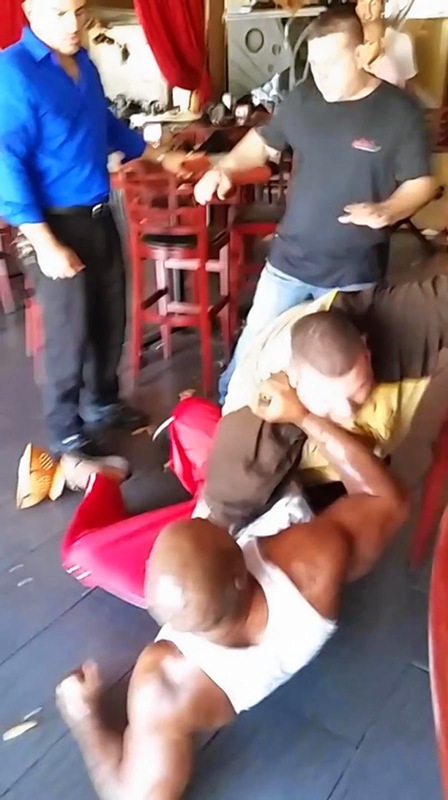 Two world heavyweight champion boxers faced off in a Florida restaurant — over a bowl of pasta. 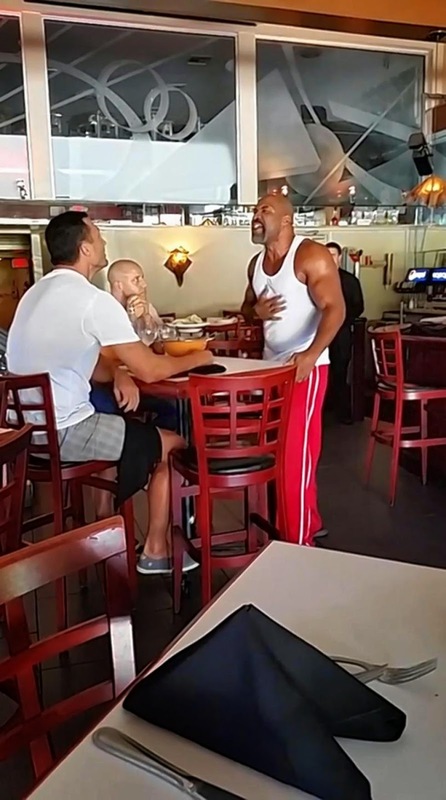 Ukraine's Wladimir Klitschko, a current heavyweight champion, was eating at Mamma Mia's Italian restaurant in Hollywood, Fla., when former two-time champion Shannon Briggs approached him. The bizarre face-off was caught on video. "Everywhere you go, I go, champ," Briggs yelled. "What you do, I do, champ." To prove his point, Brigg's grabbed the Ukrainian boxer's plate and dug in to his meal. "What you eat, I eat, champ," he said. Klitschko remained cool, and even offered his spontaneous dinner guest a drink of water to go with his food. He poured a bottle of water into a glass. Then, he dumped it on Brigg's head. That set the Brooklyn-born boxer off even further. 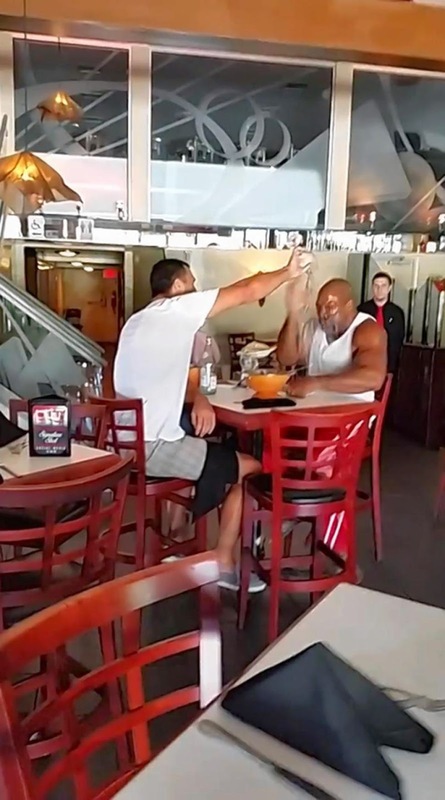 Briggs smacked the food off of Klitschko's table, sending plates flying across the restaurant. A furious Briggs knocked over the table before two other men grabbed him and wrestled him to the ground. Briggs stormed out of the restaurant, leaving behind a trail of broken glass, thrown food and overturned chairs. He even had to go to the hospital after he cut his leg and foot on some of the glass, TMZ reported. This isn't the first time the two boxers have squared off — or have at least tried to. In a strange April confrontation, Briggs broke into a Klitschko press conference and demanded to fight the heavyweight. Security kicked him out before any punches were thrown.